Easy Ed’s Variety Hour returns this Friday with two hours of commercial-free Rockabilly, Hillbilly, R&B, and Rock and Roll. I hope you can join us! February 3: I will be the guest DJ at River Gods in Cambridge for Primitive Sounds night. Thanks to Jason Beek, P.J. Eastman, and the folks at River Gods for the invitation. Please stop by! The music starts at 9:00 PM. February 14 (the Sunday before Presidents’ Day): Bring your valentine out to the Midway Café in Jamaica Plain for an ultra-rare performance by Boston’s kings of Western Swing and Honky Tonk, The Spurs! I will be spinning dance-friendly country and rockabilly throughout the night. PS. Below is a list of what I played on the 1/15/2010 show. Once again I want to thank the Jinx Brothers for stopping by to play on the air! An archive MP3 of their performance can be found at www.easy-ed.net. Big Maybelle “My Country Man” from Big Maybelle: The Complete Okeh Sessions 1952-'55 SINGLE (Epic/Legacy) — Okeh Records 1953/Hot stuff for '53! 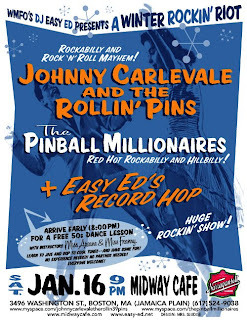 January 16: Don’t miss Easy Ed’s Winter Rockin’ Riot (see attached), with Johnny Carlevale and the Rollin’ Pins (rockabilly and rock ‘n’ roll mayhem!) and The Pinball Millionaires (red hot rockabilly and hillbilly! ), along with Easy Ed’s Record Hop. Arrive early (8:00 PM) for a free 50s dance lesson with instructors Miss Ariane and Miss Franny. 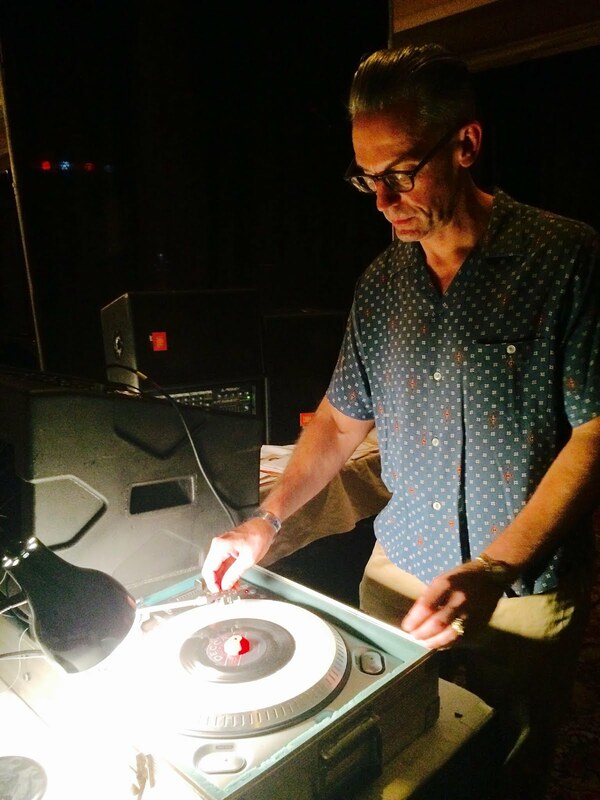 Learn to Jive and Bop to cool tunes--and have some fun! No experience needed. No partner needed. Everyone welcome! Sponsored by Narragansett Brewing.